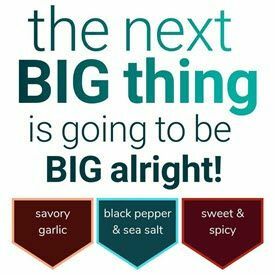 The next review on Maui~Licious will focus on a 3.65 ounce/103 gram bag of their hot flavor. 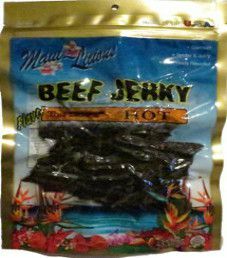 This jerky was graciously submitted by the owner Dr. Charles R. Medeiros (Dr. Chuck). 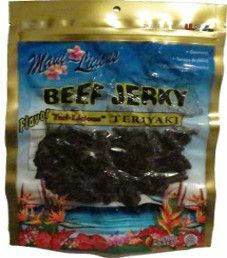 The next review on Maui~Licious beef jerky will focus on a 3.65 ounce/103 gram bag of their teriyaki flavor. Dr. Chuck kindly submitted this jerky bag for review. 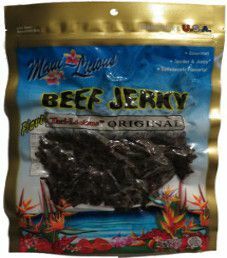 The next review on Maui~Licious beef jerky will be on 3.65 ounce/103 gram bag of their original flavor. 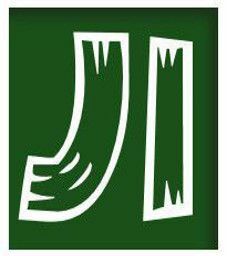 This jerky was kindly submitted for review by the founder Dr. Charles R. Medeiros (Dr. Chuck). 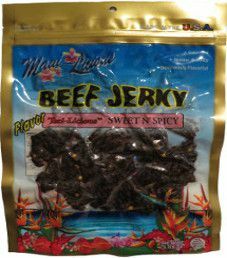 This first review on Maui~Licious will be on a 3.65 ounce/103 gram bag of their Sweet N’ Spicy beef jerky flavor. This bag was kindly submitted by the owner, Dr. Charles R. Medeiros (Dr. Chuck).